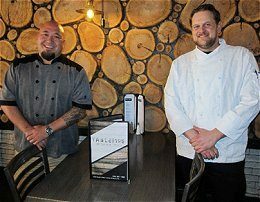 Table 105, 105 N Fraley St, Kane, Pennsylvania, offers fresh and delicious steak and fresh seafood created from sustainably resourced, quality ingredients. Chef Coby Butler has multi-layered culinary skills, developed over many years of experience. This includes time spent studying culinary arts at Drexel University, and Johnson & Wales University – Charlotte. 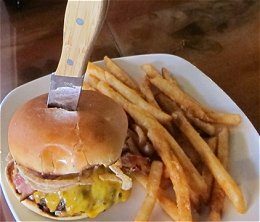 Try the Peanut Butter Burger with Applewood Smoked Bacon, Cheddar, Fried onions, Peanut butter honey spread; a ½-pound burger with fries, house chips on a butter brioche roll. Or Hummus-cut vegetables with fire roasted red pepper hummus with caramelized onion served with pita bread. 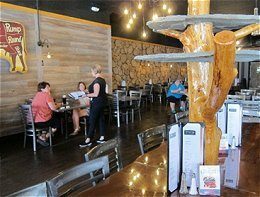 Their décor features huge slices of native Black Cherry Timber playing tribute to their location in Kane, Pennsylvania, the Black Cherry Timber Capital of the World.